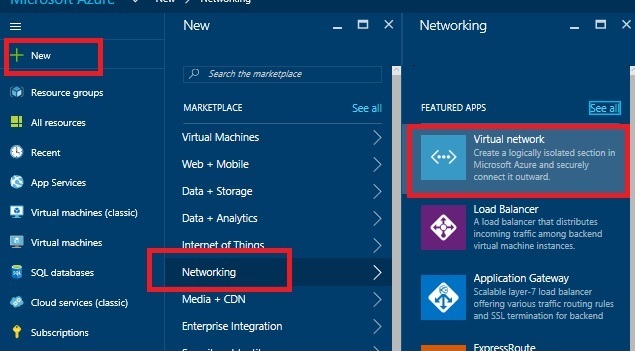 Creating VNet is basically first step in creating your IaaS in Azure. Once you create VNet you can add VMs to it and allow traffic between them, you can connect your local (on-prem) network by Site-2-Site or Point-2-Site and so on. We’ll talk about those more in next posts. New tile will open with options. First name your VNet (Demo in this case), then select address space (can leave default). Subnet name can be left default or named custom, then enter subnet address range. Note that subnet address range must be inside address space range. If you have multiple subscription under one account, select subscription. If only one subscription is present, it will be selected by default. In ‘Resource group’ you can select ‘Create new’ or ‘Use existing’. In this case I will create new one named ‘Demo’. If you want to add VNet to existing resource group, select ‘Use existing’ and select your resource group from dropdown menu. 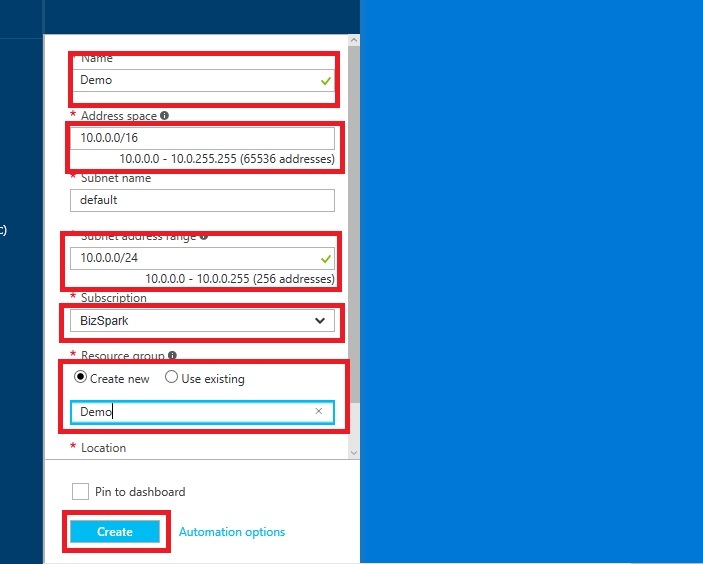 Last option is to chose location (region) where you want your VNet created. By default, this option will be filled with last location you used in previous deployment. Click ‘Create’ and wait for few minutes. Your VNet is created and you can start joining other resources to it. We’ll talk more about setting of VNet in one of the next posts. You have good info on the site. 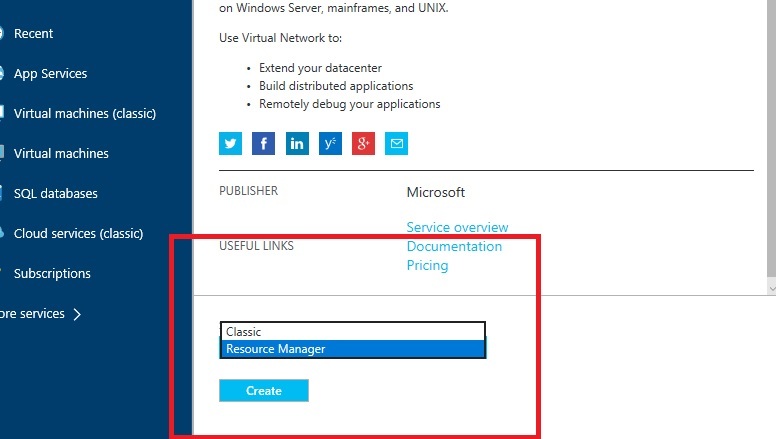 Great info on how to do things on Azure.